Unlock Sony Ericsson Xperia ZQ - Safe IMEI Unlocking Codes for You! 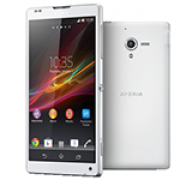 Unlock Sony Xperia ZQ Handset! In case your Xperia ZQ doesn't ask for the code and there is no designated field to enter it, please DON'T PLACE ANY ORDER, contact us first for support. Looking to get your new Xperia ZQ unlocked without paying the extortionate unlock fees from your mobile network operator? SafeUnlockCode can help you to get unlocked at a much better price! It is safe and secure, and a whole lot quicker too! Just follow this guide to order yourself an unlock code within minutes! If you’re looking to unlock an unlock code for a different handset, you can always check our A-Z directory. Once you unlock your Xperia ZQ, you will have the benefit of using the handset on any GSM SIM network across the globe, including O2, Vodafone, Telus, Three, T-mobile, AT&T, Orange and many, many more! Find your IMEI - Simply dial *#06# to find it. It should pop up on your screen. Country - Where did you buy your Xperia ZQ? Let us know. Network - We’d also like to know the network your Xperia ZQ is locked to. NOTE: make sure to get this information 100% correct! Any wrong information may get you an unlock code that DOES NOT work! So pay attention to ensure you enter the information correctly, especially in the case of the IMEI. The next step involves checking whether you are hardlocked or not. First you’ll need to enter a SIM card that is using a different network to the one you are locked to. - Turn on your Xperia ZQ and wait till you can access the ‘emergency calls’ screen. - Once on this screen, simply dial *#*#7378423#*#* OR press Menu Back Back Menu Back Menu Menu Back. The number next to network tells you how many unlock attempts you have left. If it is 0, this means you are hardlocked and will NOT be able to get unlocked through us. If this is the case, DO NOT place an order with us. How to Unlock Sony Xperia ZQ Phone - Tutorial! Now just follow these steps to get unlocked! 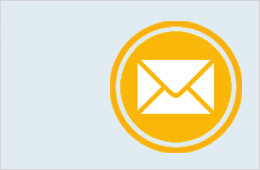 First send us the IMEI of your Xperia ZQ, the network and the country, as well as an email address so we can send you the unlock code later. Once you’ve done this, check the prices and the availability, and then proceed to payment. After you pay for your order and receive an email with the unlock code in, turn on your phone (make sure it’s still got the non-accepted SIM card in.) and then enter the unlock code into the ‘unlock code here’ entry field. Once you do this, your phone will be unlocked! Can’t find the unlock entry field? Contact us and we can try to help. I wondered if it is easy to unlock my Xperia ZQ using the codes? Hi Jamal! Yes, the code for your device are available. Please fill in the form and you will see all the details you need. Thank you!